When the NFL schedule was released back in mid-April, not one single member of the New Orleans Saints organization would have likely ever imagined that with as tough as the slate appeared to be, they’d be sitting as the League’s undisputed #1 team 12 weeks into the 2018 NFL Regular Season. And yet, here we are near the end of November, and New Orleans has a (10-1) win-loss record, has won 10 straight games, and they are the #1-rated team in every version of the various “Power Rankings” published in newspapers and on websites across the country. Long story short: we all knew that the Saints were going to have a good team this year — but nobody thought that they’d turn out to be this good. 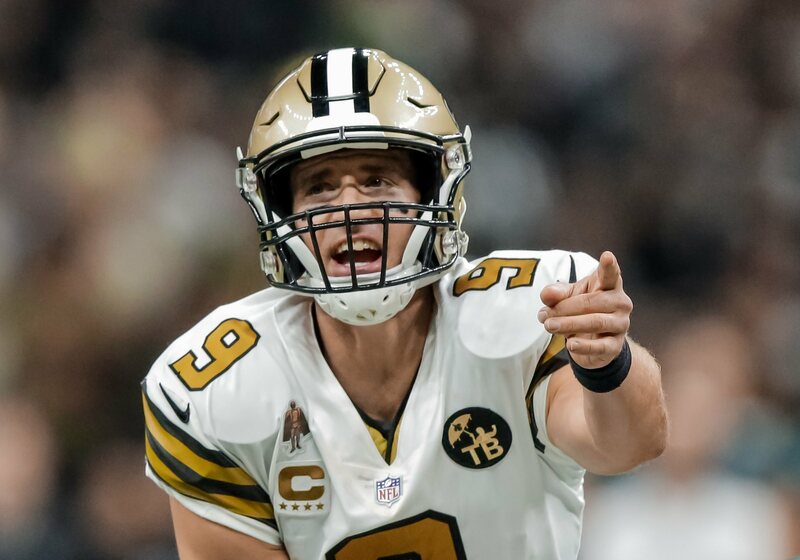 However, for as great of a season that the Saints franchise is currently experiencing, they still have some unfinished business to take care of if they hope to achieve their clear-cut goal of getting to another Super Bowl (and winning it), before soon-to-be 40-year-old Saints quarterback and future Hall of Fame living legend Drew Brees retires. Unfortunately, that unfinished business most likely requires the Saints to have to “run the table” in their remaining five regular season games, and finish with a (15-1) win-loss record. 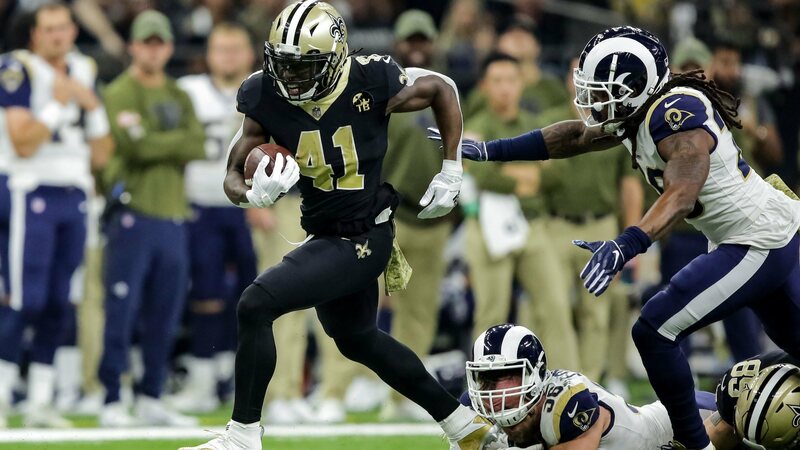 The answer, as it turns out, is quite simple: the #2 team behind the Saints in the NFC Playoff seedings — the Los Angeles Rams — are also (10-1); but because L.A. has a considerably easier remaining schedule than the Saints do, they might not lose another single game and are a legitimate threat to finish with a (15-1) win-loss record themselves. Los Angeles was on their Bye Week and did not play yesterday, but they have five games remaining on their schedule beginning with next Sunday’s game on the road against the (4-7) Detroit Lions; in a game in which the Rams should be heavily favored. Following the contest against the Lions, the Rams then will play what likely will be THE only “tough” opponent in their last five remaining games, against the (8-3) NFC North Division-leading Chicago Bears; who Los Angeles will have to play in the Windy City at Soldier Field two more weeks from now (December 9th). But with the lone exception of that contest against the Bears at Chicago (a game in which winter weather potentially could have an impact), the rest of L.A.’s remaining three games after that should give them a significantly easier path at clinching home-field advantage over the Saints. Crazy that the Rams might have to finish 15-1 just to win homefield throughout and that still might not be good enough if Saints also win out. After that game at Chicago, the Rams will then host the visiting and injury-riddled (5-6) Philadelphia Eagles in Los Angeles, in another game in which they’re expected to be heavily favored. 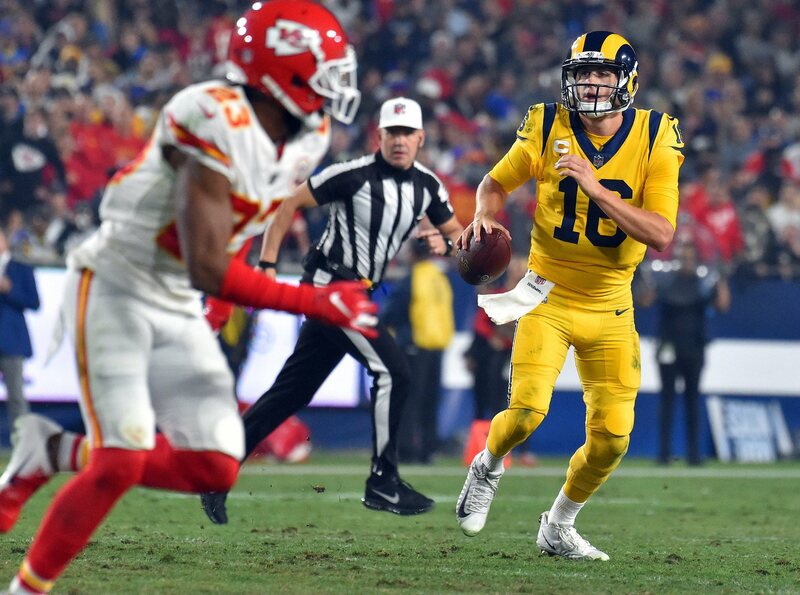 The Rams will then close out their regular season with games against two of the NFL’s worst teams; on the road against the (2-9) Arizona Cardinals; and they close out their season against the (2-9) San Francisco 49ers. As of this very moment, it would appear the Rams will likely finish with no worse than a (14-2) win-loss record; meaning that the Black and Gold cannot afford to lose any more games if they are to have any hope of earning home-field advantage. Of course if that were to happen, it means that the Saints essentially would be “forced” to win at least four out of five of their remaining games as well; since they would have to finish the year with at least the same record as Los Angeles to secure home-field advantage throughout the entire NFL Playoffs. The very first tie-breaker in determining playoff seeding is “head-to-head competition,” and the Saints have that advantage over the Rams by virtue of their 45-35 victory over them at the Superdome back in Week #10. But even with as well as they have played this year, the remainder of the Saints’ schedule is still very tough; given the fact that they have to play on the road for three straight weeks beginning with this Thursday night’s game at Dallas against the Cowboys. While it’s certainly true that the Saints are undefeated on the road this year (5-0), with previously-recorded wins on their travel itinerary so far at Atlanta, New York City, Baltimore, Minnesota, and Cincinnati, it still doesn’t guarantee that they’re going to win out in those three remaining contests. After this Thursday night’s game against the (6-5) Dallas Cowboys,New Orleans travels to the southwest coast of Florida to face the (4-7) Tampa Bay Buccaneers (the Saints’ only loss this season), before traveling to North Carolina to face the (6-5) Carolina Panthers in Charlotte on ESPN Monday Night Football December 17th. New Orleans will then finally get to return home to the Superdome on Sunday, December 23rd, but they’ll have to face the (7-3-1) Pittsburgh Steelers, who have since rebounded from their poor start and (somewhat ironically) have done so in a manner very similar to the way that the Saints did earlier this season. After playing Pittsburgh, New Orleans will close out their season with the rematch against the Panthers at home inside the Mercedes-Benz Superdome on the day before New Year’s Eve (December 30th). Without question, the Saints are playing as well as any other team in the entire League right now (Rams and Chiefs included). The likelihood that they could potentially finish the season with only one loss (15-1), is not impossible by any means; especially taking into consideration the level of peak performance that New Orleans is currently playing with at the moment. 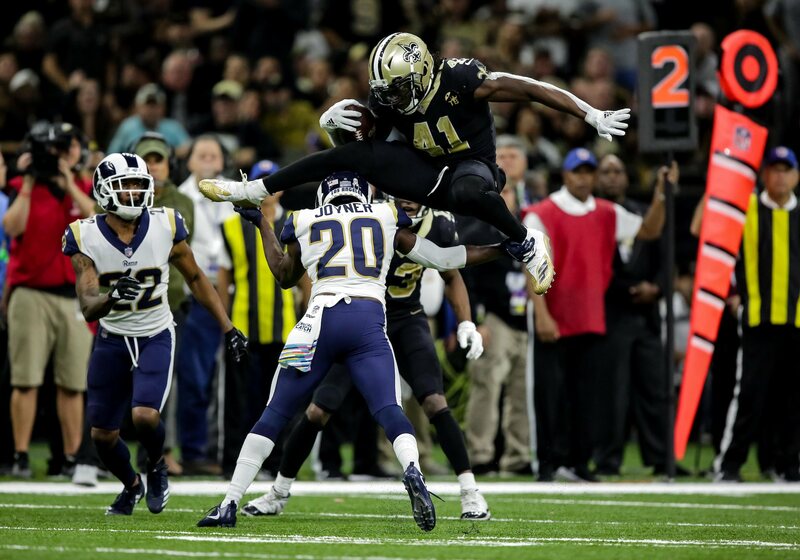 But the schedule-makers certainly didn’t do the New Orleans any favors with regard to the final part of their regular season in comparison to Los Angeles; particularly when a closer study of the numbers revealed that the Rams’ combined opponent record for their final five games of the season is (21-34) overall, while the combined record of the Saints’ final five opponents of the 2018 regular season is (29-25-1). That’s obviously one major advantage that L.A. will have over the Saints in these last five weeks of the year, and it ultimately could even have an impact on the Black and Gold’s chances of helping Drew Brees get to another Super Bowl before he eventually retires. Good article, Barry. My thoughts exactly! My deeper football thoughts and feelings are signaling a Rams lost in Chicago which will still keep the Black and Gold in the top spot even if there was one stumble…..Still think we will run the table!! Who Dat.